Palm Sunday is an invitation of the most extreme kind. If you picture a polite and proper written invitation to an important event, it’s usually on pretty white paper and arrives quietly in your mailbox with a diffident request for an RSVP. 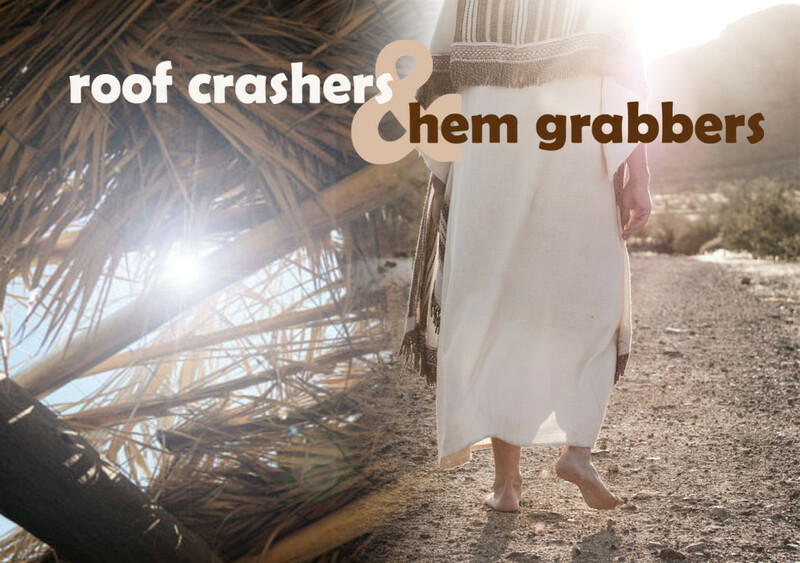 Palm Sunday is an invitation to events that shatter the status quo and reconfigure the universe, and it arrives with strikes of lightning, booms of thunder, and crowds shouting themselves hoarse in the streets of Jerusalem. We are here now to make our answer to the invitation of Palm Sunday. Jesus is hailed by the crowds today, and we throng along with them, waving our palms with bright, self-congratulatory allegiance to our matchless king. And then we have a choice. Many of us will go home and not darken the door of spiritual encounter until Easter Day. But that is a mistake. As your priest, I’m selfish and I hope you come to some of the darkly beautiful liturgies that lie before us this week. But what I really want is for you to enter the sanctuary of your heart to be with Jesus. Whether you come to this building between now and next Sunday is beside the point. Verse 12 of Psalm 31, our psalm for today, struck me as I began to work with Holy Week this year. Note: This sermon was originally published on Sermons That Work. What does it feel like to have less than a week to live? That’s the situation in which Jesus finds himself when he makes his triumphal entry into Jerusalem. The crowds don’t know what’s coming. The disciples have been given hints and even outright declarations from Jesus that the Son of Man will be betrayed into the hands of sinners and killed, but like all of us who know our loved ones will die someday, we shy away from actually imagining what it will be like or admitting that it could happen at any moment. To the disciples and the crowds, this is a moment of incredible potential and excitement. They have seen the miracles Jesus is capable of, who knows what that power might do if they could convince him to turn it against Rome? And his making such a bold entry into the heart of the Romans’ stolen power surely bodes well for that project. What a lonely moment this must be for Jesus, to be surrounded by screaming fans but burdened by the knowledge of how brief their acclaim will be. This is the point of no return for Jesus. By entering Jerusalem on a colt with the crowds laying down their cloaks before him and shouting “Hosanna to the Son of David!” he has triggered one prophetic tripwire too many. The Roman rulers and the Jewish religious authorities can no longer pretend that he is insignificant, that he is a fad, that he is not dangerous. Jesus is deliberately provoking the crisis that will end with him nailed to a cross. And our immersion in these scriptures today in worship, moving from the palm procession to the Passion, deliberately provokes a crisis within ourselves. The crowd abruptly transitions in less than a week from adulation and joyful allegiance to Jesus to rage-filled demands for him to be crucified. The disciples move from proudly marching at his side through the streets of Jerusalem to slinking away in stomach-clenching fear, insisting they don’t know who he is. While taking our place among the crowds on Good Friday shouting for Jesus to be crucified feels awkward and painful, the disciples’ experience of simply not affirming that we know him, of finding that our fear prevents us from being present with another’s pain, feels all too familiar. Holy Week, which begins today, is our opportunity to immerse ourselves in this move from the false joy of Palm Sunday, a joy that is centered around expectations of power and reward, through the pain of finding that our faith is often so weak when Jesus needs us the most, finally to the deep and profound joy of the day of Resurrection, the day of forgiveness and new life. We have the opportunity to walk with Jesus in real time as the hourglass runs out, as he struggles with the knowledge that he has less than a week to live. And it is a struggle. In the gospel for Monday in Holy Week, Jesus has his last meal at the home of his dear friends Mary, Martha and Lazarus. Jesus and Lazarus never got to say goodbye to each other when Lazarus was dying. Jesus heard that he was sick, but stayed away. They’re back in the same situation again. One of them is about to die, but this time Jesus doesn’t stay away. Maybe he wanted to do more than say goodbye. Maybe Jesus needed to see Lazarus alive, talking and eating and laughing. Maybe his human side needed to reaffirm the evidence of his own eyes that someone can die and come back to life. On Tuesday of Holy Week, Jesus’ struggle with his approaching death continues. John’s gospel tells us that Jesus says, “Now my soul is troubled. And what should I say – ‘Father, save me from this hour’? No, it is for this reason that I have come to this hour.” We can feel the conflict in Jesus’ soul, his divine conviction of what he has to do, warring with his human fear. The gospel for Wednesday in Holy Week takes the spiritual crisis to the next level. For the first time, Jesus addresses not just death but betrayal. The reason betrayal hurts so much is because it has to come from someone you know and love. A stranger cannot betray you. Someone who hates you and always has, cannot betray you. And the only thing worse than being betrayed is being the betrayer ourselves, finding out that we are not the people we thought we were. By Friday morning we have lost complete control of the situation. Having slid into the role of betrayer in a haze of confusion and fear, we suddenly find ourselves stumbling along with the crowds toward Golgotha hoping we are not recognized by anyone as one of Jesus’ followers. There is a numb sense of disbelief as we watch him being nailed to the cross. As every minute passes, we are certain that this is the moment Jesus will unleash the power within him, the power we have seen again and again heal people from illnesses, allow him to walk on water, feed 5,000 with a few loaves and fish. Each second we’re sure now, now is when he will stop this cruel drama, come down from the cross and save himself. Jesus simply lets his life bleed away, one agonizing moment at a time, growing weaker and weaker until he seems to prove that he’s given up on himself and on God the Father. “My God, my God, why have you forsaken me?” he cries. This is the moment that we think the other disciples who hid away during the crucifixion absolutely had the right idea. Staring up at him on the cross, we realize that Jesus is actually going to die right in front of us. He cries out, takes his last breath, and the unthinkable moment comes to pass. At that moment our souls are torn in two. At the moment the living love between God the Father and the incarnate Jesus Christ is torn in two. At that moment the disciples’ hope for the defeat of Rome and the rule of Jesus on earth is torn in two. This is the terrible risk that we take, by committing to walk with Jesus through Holy Week, that our hearts will be torn in two by this experience. But Jesus’ life and our emotional equilibrium are not the only things destroyed on Good Friday. The barrier between God and humanity is torn in two. The record of our sin is torn in two. The reign of death is torn in two. And finally the shroud of our grief and fear is torn in two by the joy of the resurrection. If we are willing not to skip from Palm Sunday to Easter Day, not to avoid the darkness that stains these upcoming days, but to enter into it with Jesus and stand in solidarity with him, the healing that we experience with his resurrection is twice as deep. Today we make a choice. We can choose to be present with Jesus as his disciples throughout this week, confronting the ways in which we betray him, loving him as we see him struggle for the courage to endure his death, or we can hide away, unwilling to let our composure be torn in two with the temple curtain. The only tools we need are the scriptures and open hearts to make this journey with Jesus. Like Jesus, our fear, our sin, our grief and our illusions about ourselves have less than a week to live. Let’s spend that week with Jesus.